Dr. Angela Amar, PhD, RN, FAAN, assistant dean for BSN education at the Nell Hodgson Woodruff School of Nursing, was recently awarded two 2016 American Journal of Nursing (AJN) Book of the Year Awards for her publication, A Practical Guide to Forensic Nursing. Dr. Amar’s book was awarded first place in the Critical Care/Emergency Nursing category and third place in the Medical-Surgical Nursing category. The book, co-authored by, Written by L. Kathleen Sekula, professor at Duquesne University School of Nursing, is a practical, evidence-based guide that helps nurses understand and apply forensic nursing science in their practices. It highlights sociocultural diversity and relevant legal, ethical, societal, and policy issues while including challenges and potential solutions in the practice area. It also introduces practical and theoretical perspectives on violence and provides valuable resources, including injury assessment and violence prevention strategies as well as an overview of relevant legal, ethical, societal, and policy issues. "These recognitions are a reflection of Dr. Amar’s sustained and significant contributions to nursing education and practice," said Linda McCauley, PhD, RN, FAAN, FAAOHN, dean of the Nell Hodgson Woodruff School of Nursing. "Her work has established a national framework for preparing nurses to serve as the first line of defense for survivors of violence and trauma when they enter the health care system." Dr. Amar is an early pioneer in forensic nursing and was instrumental in developing nursing curriculum to better prepare nurses to serve as the first line of defense for survivors of violence and trauma when they enter the health care system. She played an integral role in developing course content and establishing national forensic nursing education standards for the International Association of Forensic Nursing. She also worked with the American Nurses Credentialing Center (ANCC) to establish the Advanced Forensic Nursing certification. 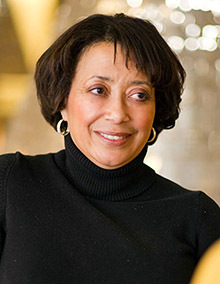 Prior to joining Emory, Dr. Amar developed forensic nursing programming for Georgetown University and Boston College, and worked with key stakeholders, including Sexual Assault Nurse Examiners (SANEs), law enforcement, social services, the Department of Public Health, non-profit and hospital-based violence programs, to develop an educational model for nursing schools nationwide.